This kind of cast iron bathtub is freestanding bathtub, claw feet. This cast iron bathtub is a classy modern mid century design. Inside of bathtub is enamel , outside is painted with paint, the color of outside can be chosen by customer, we can make different color if customer offer us color sample plate. 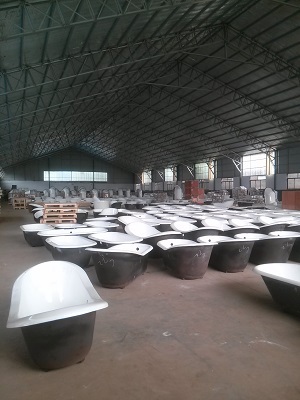 We have a V vacuum casting production line to produce enamel cast iron bathtub. The LZG-06 is completely same as LZG-01, except the faucet holes. 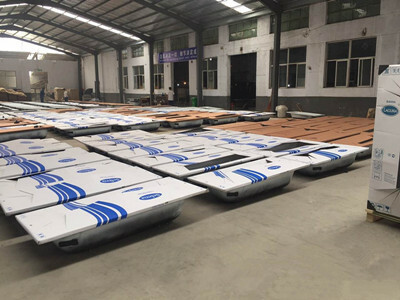 There are 2 faucet holes on the flat surface of LZG-06. This bathtub is Freestanding Bathtub, that makes customer can watch bathtub`s everywhere earlier, so that we can install drainer earlier. If drainer is stuffed by something, we can fix it directly. Usually we use drainer with copper material , the quality is much better than plastic drainer. This is our LZG-06 details below, with overflow and drainer hole, four feet be installed on bathtub. We also produce claw feet ourselves, we can install feet as customers' requirements. The material of claw feet are iron or copper.The claw feet will be installed on bathtub. We have different style of claw feet. Customer can choose claw feet as requirements. We make different color on the claw feet.The color is electroplated into the claw feet.We total have many color, electroplating gold, electroplating chrome, electroplating nickel, electroplating brush nickel, white painting, black painting. The claw feet is made of iron or copper, it depends customer`s requirements. The iron is electroplated , so it is hard to be rusty. 2.Pack bathtub by crate, 1 piece in per crate. Linyi Luxing Enamel Co., Ltd.
Linyi Luxing Enamel Co., Ltd. was founded in 1993, covers an area of 90,000 square meters, fixed assets of 120 million Yuan, the company has first-class modern production equipment ,excellent management teams, advanced testing equipment, rich and mature management experiences. Essence of luxing enamel bathtub set the same industry at home and abroad, is the perfect combination of art and modern science and technology. V vacuum casting production line of the company has international advanced automatic stamping, enamel and large steel plate production lines, advanced technology, Elegant fashion, green , extremely user-friendly design, impact resistance, corrosion-free, acid and alkali, long life . Company has a perfect after-sales service system, the user does not have to worry about. Ten series of products, more than 200 types of products for customers to choose products United States and the United Kingdom, and France, and Russia, and Japan, and Australia, and Korea and dozens of other countries and regions, deeply domestic and foreign customers high praise and affection. 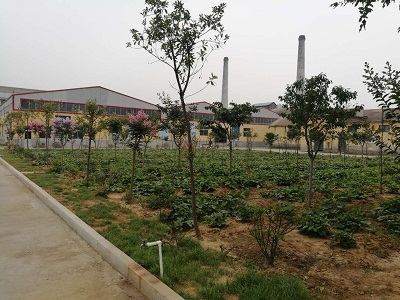 Our company is the earliest a domestic industry and ISO144001;1996 meanwhile obtained ISO certification of environmental management system certification enterprises. 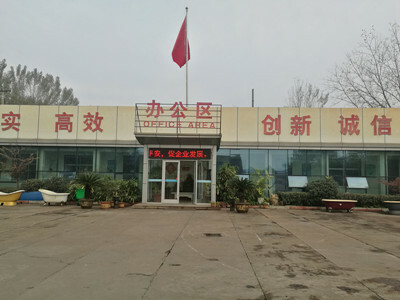 [Quality first, integrity management" is what we have always adhered to the policy, please be assured that your choice, Lu Xing company welcome you! 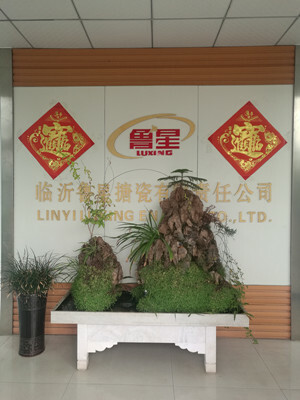 Company Name: Linyi Luxing Enamel Co., Ltd.